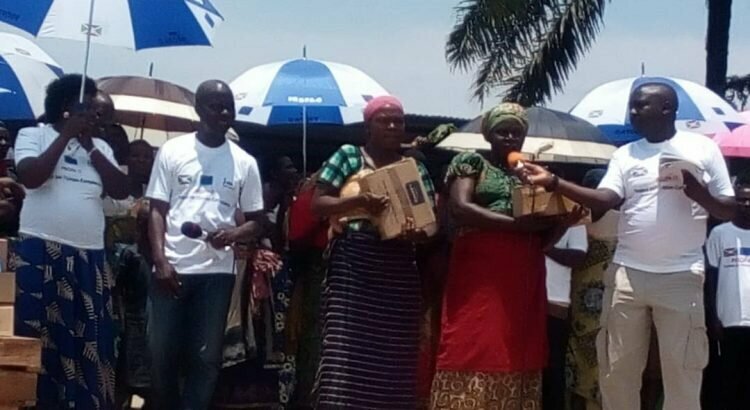 RUMONGE March 11th (ABP) – Beneficiaries of PROPA O project activities in the Kigwena zone of Rumonge commune and province (south-west of Burundi) are satisfied with the positive effects observed because, they say, their lives have improved significantly. “Currently with the modern crop of rice introduced by PROPA O, we use little seed, and production has improved,” said Tharcisse Simbaye, a rice farmer from Nyakuguma village. While before we sowed 50 kg to produce between 700 and 800 kg, we currently use 5 kg of seeds to produce between 1,200 and 2,000 kg of rice, explained Mr. Simbaye, who recognizes that rice was grown in archaic way before. The kg of rice bought at 2,200 BIF is now worth 1,600 BIF, he says. Mr. Simbaye, however, feared that the next season’s production will not be better if the rain does not fall on a regular basis. He hopes, however, that the water from dikes built by PROPA O to irrigate the fields will be able to remedy this bad omen. While PROPA O closed its projects four years ago, Mr. Simbaye is asking for support in raising awareness for membership in cooperatives, an awareness-raising activity that started and began to bear fruit. As for Prime Ndayisenga, another beneficiary of PROPA O from Kanenge village, he said that the capacity building sessions allowed him to become a “true stockbreeder”. The cow he received from PROPA O has allowed him to have manure that has enriched his fields, he said, adding that agricultural production has been revised upwards. According to him, even though PROPA O has closed its projects, community development committees that have been created will sustain the gains: “we will follow all the pieces of advice we received during the various capacity-building sessions,” concluded Mr. Ndayisenga, a member of one of the community development committees initiated by PROPA O. The PROPA O project was active in the agricultural field, such as modern rice cultivation and the distribution of cows and pigs. It intervened in the field of food security through the community coaching for good nutritional practices and through “Muco moms”.